Virginia and Vanessa and their brothers, in the prewar years, always spent August and September on "holiday." During their 1903 holiday, they stayed in the Salisbury area. They were, therefore, able to return to Stonehenge a second time for a leisurely and (pleasantly) lonesome visit on September 5. 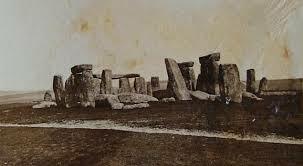 I include much of Woolf's description because it shows how different the experience of Stonehenge was from how it is possible to experience it today, when it has become a very controlled and reconstructed world heritage tourist site. I was especially taken with Woolf's picture of the shepherds on Salisbury plain: what she is describes is not what you would see there today. Not quite Woolf's black-cape clad shepherds, but he does have a staff. I was also impressed with what a strong writer she was at this point, and with her touch of self irony in describing so romantic a scene as the shepherds. I took the time to really think about what it might like to stay in a spot for two months on holiday and have the ability to return to favorite destinations. Most of us see Stonehenge once and must move on (even if we happen to be living nearby, as I was in London). …our two visits to Stonehenge have impressed such pictures on my mind as I never wish to be obliterated. We made a second expedition today … I would rather call it a pilgrimage: because in truth we went with all reverence with a pure design to enjoy ourselves. A day spent happily in the open air, counts, I am sure ‘whatever Gods there be,’ as worship; the air is a Temple in which one is purged of one’s sins. On the plain itself, the only people we passed were shepherds, they drift about in the wide space with their flocks, just as though they were in the Bible; they take advantage of this wet weather too; to add one bold stroke to their appearance, which, I as an artist would hesitate to introduce; I should be half afraid of over picturesqueness: they wear long black cloaks reaching down to their heels, & flapping in capes round the shoulders: in one hand too they grasp a real shepherds staff. You may actually see one of these figures lying on his elbow, wrapped in his cloak, his dog lolling out his tongue beside him, & his flock grazing all around. 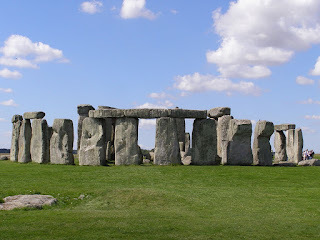 We lunched—& we walked across to Stonehenge & sat within the Circle. Our choice of a day gave us the whole place to ourselves. The solitary policeman whose strange lot in life is to mount guard over Stonehenge had taken shelter behind one of his charges. The apoplectic sheep, who can imitate a standing motor car which is still palpitating to perfection, were grazing outside the Circle, & as far as we could see we had not only Stonehenge, but the whole ocean of plain entirely to ourselves. 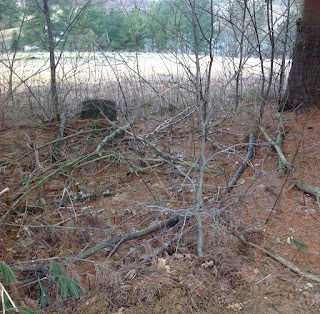 One can imagine why this spot was chosen by the Druids—or whoever they were—for their Temple to the Sun. It lies very naked to the sun. It is a kind of altar made of earth, on which the whole world might do sacrifice. The serendipities, however, did not end at me seeing Stonehenge not long after reading about Woolf visiting Stonehenge. Stonehenge. Smaller than I expected. Films, the lying camera, made me imagine towering stone. Yet despite the smallness, it makes a deep impression. You stand on the top of a hill overlooking empty deep green plains on all sides. The wind cuts through clothing, whips back hair with brutal violence. It is still there but the guide’s voice screams into the wind. The stones stand, or lie, unmoved, solid, rugged, overlooking the plains. 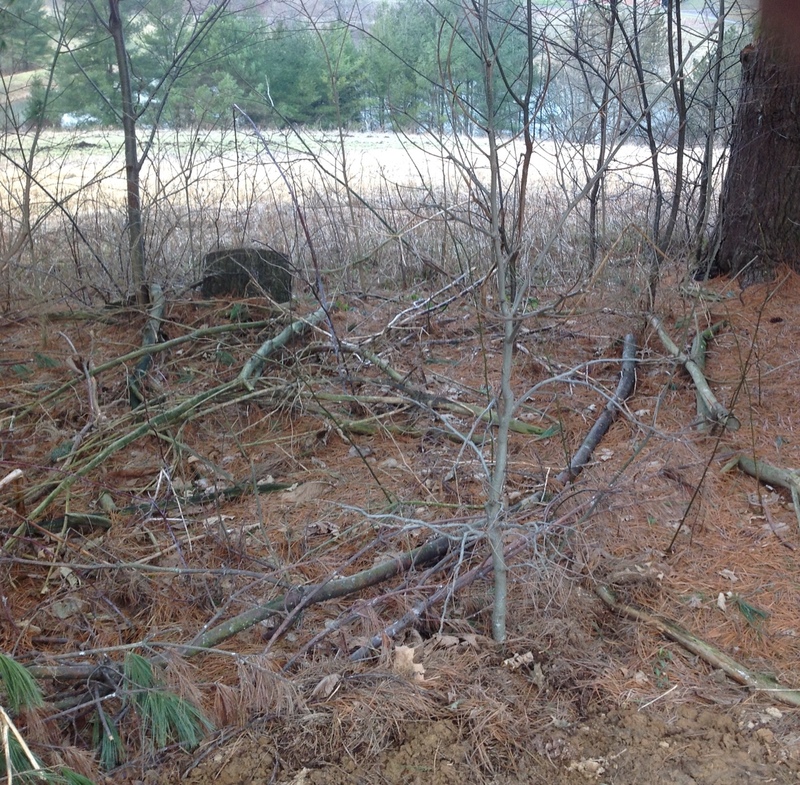 The mounds of Saxon kings circle the rocks. Arrangement of the rocks—like modern sculpture. There is a sense of history, of many centuries here, the past entrenched here, and one can become part of that, yet remain distinct. It is the same almost as it was—the landscape, the plain, the rocks, the isolation. The singular & intoxicating charm of Stonehenge to me, & to most I think, is that no one in the world can tell you anything about it. …Man has nothing to change Salisbury plain since these stones were set here; they have seen sunrise & moonrise over those identical swells & ridges for—I know not how many thousand years. I like to think of it; imagine those toiling pagans doing honor to the very sun now in the sky above me, & for some perverse reason I find this a more deeply impressive temple of Religion—block laid to block and half of them tumbled down in ruin so long that the earth almost hides them, then that perfect spire whence prayer & praise is at this very moment ascending. It was so startling for me to come across my own diary entry about Stonehenge, unread for forty years, just a few weeks after I had read Woolf's entry--and even more so to have had the same reaction that she did (even if not an unusual response). And now for the final serendipity, which ties back to Notre Dame and my previous blog on the narrative of place. As the photos above clearly show, the look of Stonehenge has changed since Woolf's time. I searched for old photos of Stonehenge to find a suitably "Woolfian" period photo and was stunned by the difference between then and now. 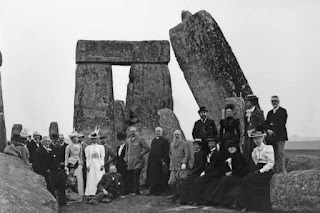 The Stonehenge Woolf saw was not the same Stonehenge I saw in 1979 or a month ago driving by. I again note that what we see when we travel as tourists is a construct, a story. Who can say which is more "authentic"--"my" Stonehenge or "Woolf's"-- as the recent changes are clearly meant to make it more "authentically" what it was--or what we believe it to have been--in its heyday. Like the Notre Dame cathedral that burned, what is authenticity? That was already largely "restored" in a way that said more about nineteenth century interpretations of Gothic than what a medieval visitor would have seen. And it will be, as Europe always is, restored again. When we travel, we often create the things we expect to see. Quantum physicists know all about this phenomenon. ...But it would be harder, you would think, to create Stonehenge. Stonehenge is in truth pretty old (the landscape was worked on for a long time, but the stones will have been erected between 3000 and 2000 BC), but it has been touched up and ‘restored’ again and again through the nineteenth and twentieth centuries. In part, this was to secure the stones, to stop them from collapsing (one particularly crooked sarsen stone was straightened in the early twentieth century); but every time you touch something up it starts to look a little more like what everyone thinks it should look like. Archaeologists are on record stating that not a stone of Stonehenge has not been tinkered with in some way at some point in the last hundred years, and that it is ‘largely a product of the English Heritage Industry’. Thus it conforms, now, to expectations. While walking the cobblestoned streets in Vallatta, Malta's capital, a UNESCO heritage site, I unexpectedly found myself imagining Jane Austen meandering down the same streets, breathing the same Mediterranean breezes, perhaps looking into the same shop windows. The many steps down to the Grand Harbor in Valletta. Little side streets shops showed prints of eighteenth century sailing vessels with sails billowing in the Grand Harbor. I could n't help but think with a thrill of Anne Eliot of Persuasion running into Admiral Croft staring into a shop window at a boat print on the streets of Bath. Austen never visited Malta, but the sense of her--and poets of her era who did, such as Byron and Coleridge--was palpable. Ship prints in a shop window. Admiral Croft, where art thou?? A few weeks later in Bath, also a UNESCO heritage site, under a chillier sky, walking past pale stone eighteenth century buildings and visiting the Assembly rooms, I had a far more difficult time channeling Jane Austen, though she lived in this city for more than four years and set parts of two novels there. The Assembly rooms were bombed to smithereens in WWII and rebuilt. Churches in Bath suffered damage and were repaired. 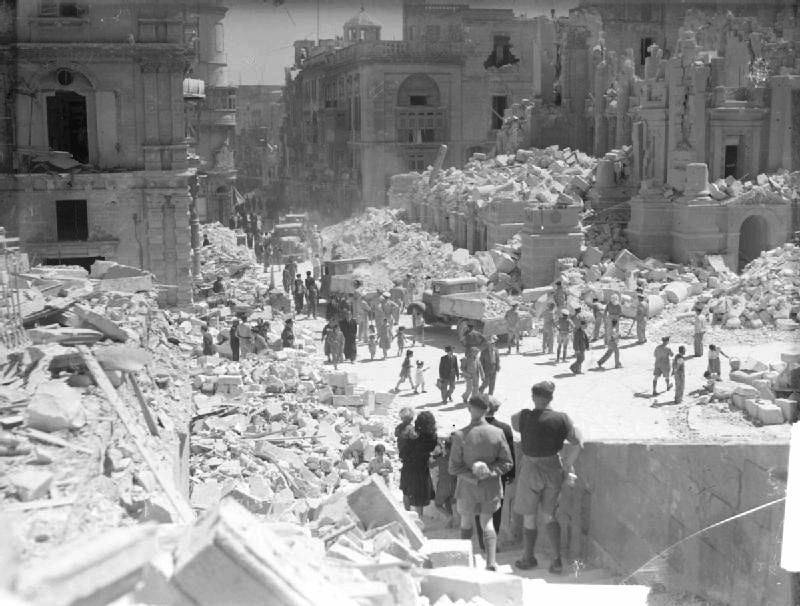 How, I wondered, did, Valletta, an eighteenth century city more or less obliterated during World War II that Austen never visited strike me as more authentically "Austenian" than a city she actually lived in? I decided to do some sleuthing. I already knew that Malta was the most bombed country during World War II, as the Germans tried to wrest control of this strategic island from the British. The "eighteenth-century" Vallatta we walk through today is a reconstruction of what the city looked like before it was destroyed by bombing in the 1940s. 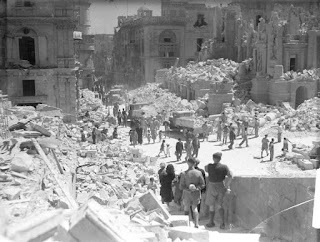 Valletta in World War II. The Nazis were plagued by bombing runs on Africa originating here. 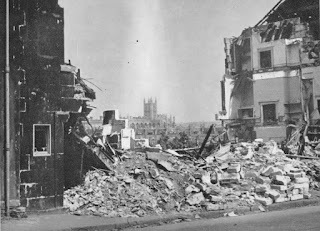 I was surprised to learn that Bath, too, was bombed during World War II. It was targeted in what were called the Baedecker bombings, made in retaliation for British bombing of historic German cities. Bath was targeted precisely because of its tourist appeal and beauty. Three nights of bombing killed hundreds of people, destroyed 1,200 buildings and damaged 19,000. Included in the destruction were the Assembly rooms we today visit as if they were authentic eighteenth century rooms. The East window of the Bath Cathedral was also destroyed, as were many Georgian homes and buildings. 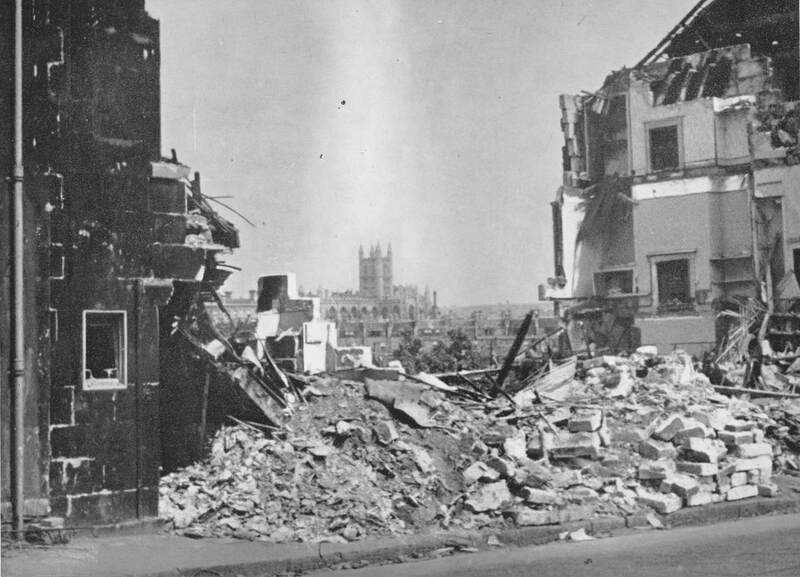 Contemporary 1940s photographs show huge piles of rubble in Bath. The Bath we see to today has been restored. Like Valletta, Bath was rebuilt. Neither city is authentically eighteenth century. Both cities have undergone intensive reconstruction. So why does Valletta tell a more convincing than Bath? The answer lies in the decisions city planners made. Malta used the advantage of two land masses separated by a quick (seven minute) ferry ride across a bay to create two culturally distinct areas, Valletta and Sliema. Sliema is a densely packed "cosmopolitan" area of high rise apartments, Euro-chic restaurants, and chain store shopping. (I ate at a Marks and Spencers.) Valletta, in contrast, is a low-rise area of eighteenth-century stone buildings and cobblestoned streets. Wide areas of the downtown are closed to auto traffic--and you need a permit to bring a car in at all. Further, visitors can still walk down wide flights of stone stairs to the harbor, just like the stairs Byron bitterly complained about having to climb with his lame foot. The skyline is dominated by Church domes, and the major (and side) street are filled Malta-style restaurants, cafes, and shops. Only the slightest number of chain stores have made their way in and have done so discreetly. How much bombing damage did St. John's Baroque excess in Vallatta endure? Bath, in contrast, amalgamates it eighteenth century Georgian city with a modern cosmopolitan city. Car traffic runs beside cobbled pedestrian malls. Pubs and Euro-chic restaurants stand side by side. Eighteenth century townhouses reside beside modern chain furniture stores. If "UNESCO heritage sites tell stories--are fictions--than Valletta/Sliema offers a clearer and more compelling narrative than Bath. If I can more easily channel Austen in Valletta, this is because Valletta, with its lack of cars and consistently eighteenth century look, seems more like a city Austen would have known. Could Bath have off-shored the cosmopolitan parts of its city to a separate section, perhaps on the other side of the Avon? If it had done so, it could have left the area around the Roman Baths, the cathedral and the rebuilt Assembly rooms car free and populated with locally owned British pubs, tearooms, and shops. This would have created a more coherent narrative and sense of Jane Austen's Bath. Unfortunately, the juxtaposition of eighteenth century and twenty-first century city leads to a place that while lovely, is not really one or the other. All of this has left me ruminating on how much of Europe, which we visit for "authentic" encounters with the historic, (despite much written lately about Disneyfication) has been rebuilt, and how much that matters. What is authenticity? Isn't rebuilding a building, a cathedral, a city block or a square as it was making a strong gesture towards preserving the past? Doesn't recreating, in fact, recreate? Of course, we can never really get to the experience of the past, especially the distant past. I stayed in a medieval city, Mdina, in Malta that has withstood earthquakes and was not a target of World War II bombing, It still has fourteenth century buildings, narrow streets, and is on a hill surrounded by high walls, but health regulations alone ensure we don't occupy it the way medieval residents did. Yet, when you walk Mdina, you walk the streets that were 800 years in the past. This is different from a recreation of an Eiffel Tower put down in a swamp a continent away from the source. Whatever the issues of authenticity, cities do best when they tell a coherent story--and I was delighted beyond measure to be able to channel the Regency world of Austen, Coleridge, and Byron in this Mediterranean setting. It's never a problem to have an unexpected encounter with Jane: who, I might mention, was quite tall and wearing a high-waisted white muslin gown. The king of our back yard in Maryland who kept the squirrels at bay. A cat who retired in old age with quiet dignity and liked to sit on the windowsill and look at the bird, the snow, the other animals. 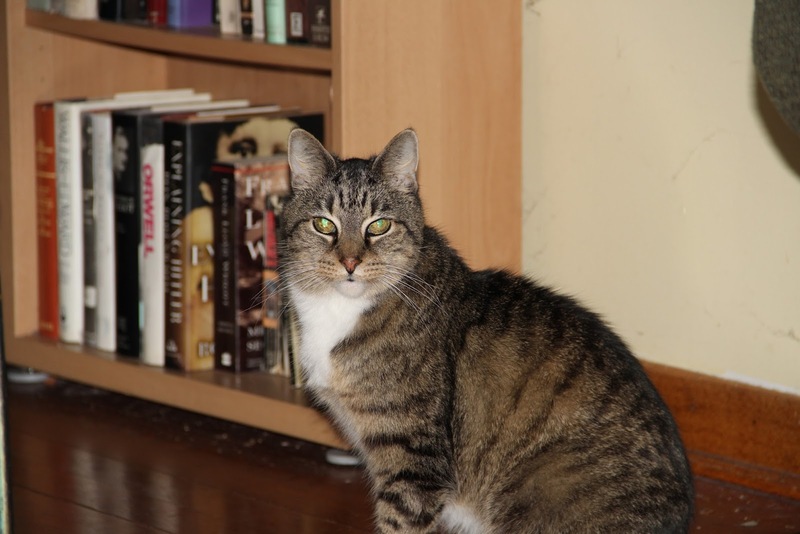 The young Andre was found on the streets, taken to a shelter, and from there we adopted him in February 2002. He was two or three years old. The most terrified I ever saw him was when we first let him out of his cat carrier and onto to Sophie's bed. Five strangers surrounded him, and he was in an utterly strange place. He cried and became so frightened that he wet the bed. He soon settled in. He was well loved, and he became confident. He made our house and yard his own. He chased away the squirrels who had thought they owned our back deck. The woodsy yard became his undisputed kingdom, and he the unchallenged monarch. We did not worry about him being hurt: our yard was off the end of a quiet cul-de-sac and from there, down a long driveway. Andre was an expert hunter and mouser. He did kill a few birds in his time--we would find the tell-tale scatterings of feathers. We tried to put collars on him that would alert the birds, but in those days it was the work of minutes for him to remove them. We thought of keeping him in, but he was a cat who adored the great outdoors. He never once, that I remember, all the time we lived in Maryland, ever need to use the litter box. From the start, he was a sweet, social cat. He loved and was curious about people. He always treated his food with utmost seriousness, perhaps because of his experiences on the street. In those salad days, he was a feisty fighter: getting him into a cat carrier was the work of two adults in mortal combat against a single cat. At my father's funeral luncheon at our house, he jumped up and caught a roll of turkey from a cold cut platter on the dining room table. I was amazed at his audacity--and his leaping skills. By the time we moved to Ohio he was entering middle age. He never took to the yard here as he did in Maryland, and he was displeased that this house only had doors on one side. 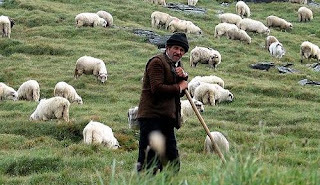 Here, in a rural area, the number of predators may have been too much for him--or perhaps he was simply getting older. Life was never quite the same for him after we moved. Andre in middle age in Ohio. As time went on, he preferred to be indoors, often watching nature from one of the three picture windows in our living room. He would in the early days growl at the birds--and then that stopped. As he began to do less, he became sweeter. He liked to be around us. He would let me carry him in my arms on walks outside. Inside, he became a lap cat, liking to sleep curled on a lap or next to a person. He liked to sun himself on the front porch. He became ever more particular about his food, and as he became skinnier, we became ever more accommodating. By the end, we were traveling hours to Wegman's for his preferred cat food (which no one would deliver) and feeding him ham and fish. How many times did I type over him? Here he seems to be reading my words. One of the sad signs of his aging was the way he began to go unprotesting into his carrier. A time came too when he stopped waking us up at night to be fed, and then stopped waking us up in the morning when he knew it was time for us to get up by jumping on the bed. He seemed to become wiser, almost a contemplative or a sage in his old age, far different from his younger feisty self. He seemed at peace. He remained, however, persistent and tenacious, and overcame several bouts of illness that might have killed a lesser cat. He had dignity and was a credit to the cat kingdom: always true to himself, utterly at one with his own nature. Thoughtful old age. He loved to sit on the loveseat. In his last two weeks, he often perched on the narrow windowsill behind the sofa to look out the window. I now wonder what he was thinking, and if he knew he was drinking in his last views of his beloved nature. I understood he was failing when, about six days before he died, he got tangled in the sheer curtains trying to leave the windowsill, and I had to extricate him. In that last week, he could only climb on our bed by jumping high enough to grab the blankets with his front claws and pulling himself up with the muscle power in his front legs--with our help.Yet he didn't give up. Four days before he died, while we were out, he tried to jump on the kitchen table, caught the tablecloth and fell back, pulling down glasses which broke all around him. It must have been frightening for him. After that, he began to die. We made an appointment with the vet for a quality of life assessment. I had to feed him by hand, and then he stopped eating. He would lap water if I brought his bowl to him, and on his last day, stopped drinking. And that was that: he died a day before his vet appointment. We buried him yesterday. What was his body without the soul? It seemed so empty--like a fur with nothing inside, the white paws dangling from the towel we had wrapped him in. His grave. Behind the trees, you can catch glimpses of the blue lake. It was cold and windy when I took this picture. Andre was at once both Blake's tyger and Blake's lamb. He had all the beauty of the tyger, and to the smaller animals, was a fearsome predator. And yet he could be all sweetness and love, like a lamb. One could wish the cat to be all lamb, but that is not the way the world is. One of the most comforting moments I have had since Andre died was painting this watercolor using a technique called wet on wet. This cat is not Andre--but it is a cat. Why didn't I paint Andre while he was alive? Already, I ask myself that. The answer: Because he was alive. Art fills the gaps created by our losses. Modern feminism seems to me to have lost its bearings. How do we bring it back? I recently read a document called "Xenofeminism: A Politics for Alienation" by a collective of six women who call themselves Laboria Cubonik. 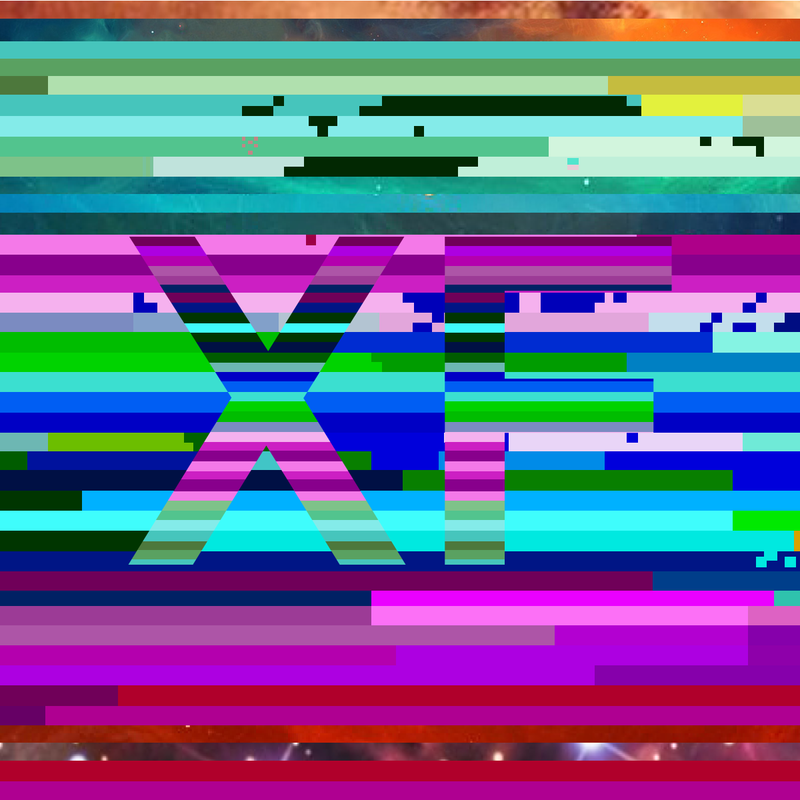 As is typical of how my mind works, I immediately began calling it "The Xenofeminist Manifesto"--and it is a manifesto. Imagery is important to conveying the message of a movement. These colors are bold and rainbow-like in a technological way, but don't give me much to grasp--and maybe that is the point. Xeno means "foreign," and the essay calls for a foreign or "alien" feminism. It emphasizes three ideas: technomaterialism, the idea that we can use technology to make life better for average people; anti-naturalism (a rejection of nature); and gender abolition, which the essay states doesn't mean that gender doesn't exist or that we should give up gendered traits, but that these traits shouldn't matter. Gender abolition also includes a call for an end to racism. The manifesto, as I will call it, is highly abstract. This, presumably, is because it is trying to get to the core of its issues and shed "cruft." "Cruft" was one of the many words in the essay I had to look up. Cruft means "anything that is left over, redundant and getting in the way. ... meant in the sense of 'detritus, that which needs to be swept up and thrown out.'" 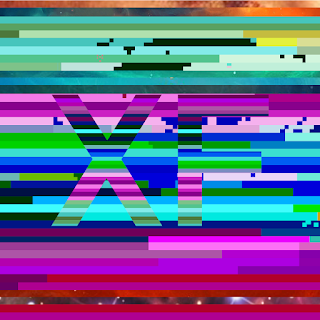 The "XF" writers speak of cyberspace as filled with the "noisy clutter of commodified cruft." I appreciate the alliterative "c" words in that phrase, but also note that cruft is assigned, both in the definition and the essay, a negative connotation--and the word itself sounds unpleasant. I am working on a writing project on what might be called "cruft"--on marginalized single women who were considered unneeded. Many were erased and have largely disappeared from history. These women were called redundant and were literally often swept up and tossed, at least in England, to the colonies. Shining a light on these women who did not "fit" to show how they did fit or could have fit or were punished or erased for not fitting the perceived "correct" way is at the heart of feminism and humane living. A humane society has to be built on stories that are as true as we can make them, and including these women is part of that truth. As I was reading the manifesto, written, understandably, with passion and anger despite its emphasis on "rational" feminism, Virginia Woolf popped to mind, particularly her two feminist essays, A Room of One's Own and Three Guineas. They occurred to me as representing the opposite of "Xenofeminism:" an opposite aesthetic and an opposite approach to (possibly) similar perceptions of the need for gender emancipation, social justice, and anti-consumerism. Both the Xenofeminists and Woolf seem to be in pursuit the same goal (I think): a humane social order, though I do have profound doubts about XF methods. If the Xenofeminists are concerned with excising the cruft, cruft is the core of Woolf's business--and at risk of sounding Derridean, I would argue that cruft--that which is considered "redundant and getting in the way"-- is central to a humane literature and a humane society. One of my problems with the manifesto is that it seems to me difficult to build a humane society on the basis of a type of essay so abstract. It is also inaccessible to the average person, full of an insider jargon that the ordinary reader simply is not going to understand. Words I had to look up included, beyond cruft and xeno, morcellation, memetics, hyperstition, and negentropic. In using such words, the essay seemed to me to be replicating the corporate model they dislike: offloading the work to the consumer. The manifesto may be brief and cruftless, but is so by forcing the reader to do the extra footwork of deciphering meaning. Is a humane society not built, in part, on making idea accessible to ordinary people: not dumbing them down, but presenting them in a graspable way? This is what Orwell does, and what Woolf does to. 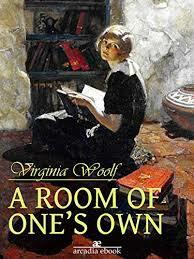 There is a reason "a room of one's own," a phrase anyone can understand, is part of the modern vocabulary. There is a warrior quality to the prose: seized, weapons exorcised. What we don't want is a feminism that replicates the worst of the patriarchal state. Some have complained to me, however, about the meandering quality of A Room of One's Own: why is it so longwinded, what is the point, they ask? In other words, why so much cruft? And arguably, Woolf could have edited it without loosing her point. But it is in the cruft that one comes to see what gender inequality looks like as it is lived in the mundane particulars of everyday life: it is lamb and good wine at a men's college versus mutton (or in U.S/ terms, meatloaf) and water at the women's college. It is having access to a good library or being barred from it. In these details a life is made. These are the details that we observe exactly only we take the time and space to meander. In these details a stunningly persuasive argument is built. The Xenofeminists would no doubt argue, and to some extent, rightly, that it would take writing books to lay out the particulars of their agenda, but is that so? Could this not also be done in the "tweetable paragraph" format of the manifesto? A story, I understand, can be told compellingly in 56 words. And if it takes more time, isn't important to find that time? If I understand what is behind the XF abstraction, it is, in part, allowing people leisure time: the kind of slow time that allows people not to rely on tweets. We can't build a humane society without a humane literature (in which I include filmed media), and a humane literature, I argue, rests on the particular and the domestic. XF rejects the domestic--and this sense has much in common with the Leninism of the early Russian Revolutionary period, but how can we expect to embrace a reinvented domesticity if we don't know what this is like? Leninism at least tried to articulate what the new domesticity would be. My overall problem is that I don't know what FX's reinvented social structure looks like, and I fear that the cruft they will discard is exactly the cruft that makes life worth living. What do they mean when they say they want "superior forms of corruption?" Or as Ellen Moody asks, what risks, exactly, do they want us to take? A review of XF uses this an image. 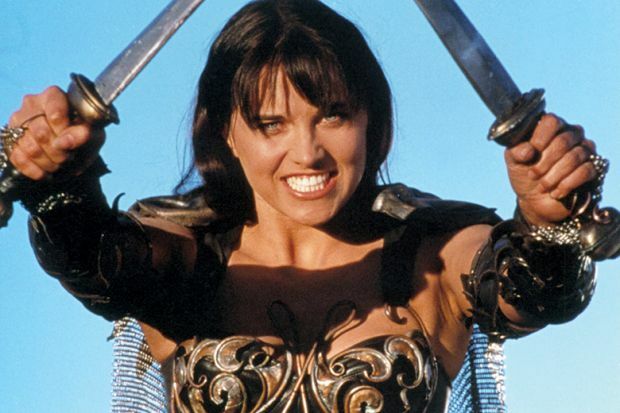 She is Xena, a warrior woman, and her name is here associated with Xenofeminism. Whether this is a false appropriation or not, the word xeno is close enough to Xena for the association to make sense. If this is an image the Xfers would approve, I am very much out: this is exactly not what feminism needs. If this is the way the tern is being deployed, the XFers should, imo, be vigorously resisting this --and perhaps they are. Ultimately, I am uncomfortable with the totalizing abstractions of the XF essay. I want to know what all of this looks, feels, sounds and tastes like. I think of Stalin's dictum: "The death of one person is a tragedy, the death of million people is a statistic." Give us, XFers, the life one person in the remade universe. Because I have not been teaching, time has opened up for Woolf reading, a project I had put off for lack of time. 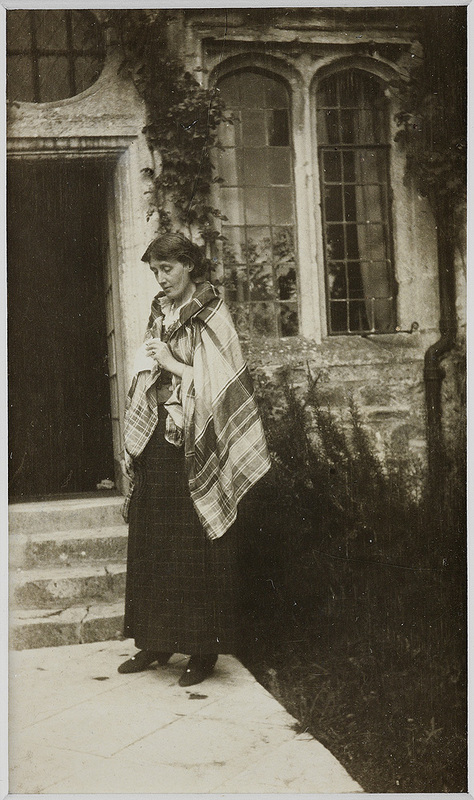 Woolf in 1923. 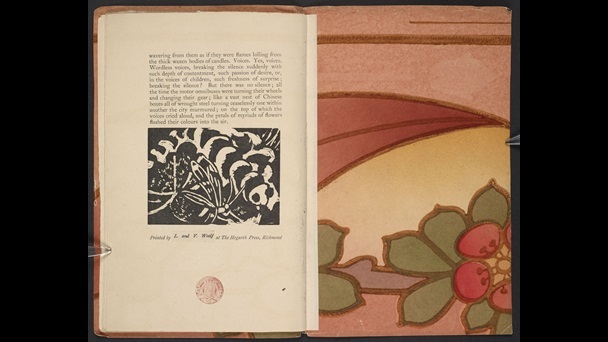 From https://www.smith.edu/libraries/libs/rarebook/exhibitions/penandpress/case6c.htm (HT Fran). My goal this year was to read all ten Woolf novels: I read nine, but comfort myself that I also read her biography of Roger Fry, along with rereading Three Guineas and A Room of One's Own. I also read Leonard Woolf's roman a clef, The Wise Virgins, and Leslie Stephen's Mausoleum Book. As I said in my best books blog, the DeSalvo biography was the best book I read all year. All of the rest of these sources (with the possible exception of the Orr) were extremely helpful, and I am not at all sorry I read the Orr, which was a solid attempt to get at possible physical causes of Woolf's "mental" illnesses. If Leonard's depiction of Virginia in Wise Virgins is accurate, he married a thoroughgoing lesbian, not a "bi-sexual:" they made their deal and had a partnership that was mutually beneficial--and they clearly liked and respected one another. Leslie Stephen's Mausoleum Book was also revelatory. Written in the wake of his wife Julia's death, Stephen, though trying to put his best foot forward, showed what a needy, insecure, self-absorbed (though not unloving or uncaring) drama queen he was--I felt the blast of his personality even through a book and across the distance of more than a century. Although I know he did not spend all his time in the throws of the grief his book expresses, I can understand why his daughters found him a difficult person: I would not have wanted to deal with him in person, even remembering his positive attributes. Most of these book were rereads, but read with new eyes. In terms of new reads, I very much appreciated the Fry biography and Flush, and enjoyed her first novel, The Voyage Out, far more than I expected. Next year, I plan to begin with the novel I did not read, The Years (and also its draft, The Partigers). I then will move into Woolf's journals: this year I purchased most of them, but read very little. As for secondary sources, I hope to read Julia Briggs's Virginia Woolf: An Inner Life. I also plan to read Leonard Woolf's first novel, The Village in the Jungle and to delve into research on Caroline Stephen. I welcome any book recommendations people might have, but would not like links to lists of "must read" Woolf books: as it unlikely I can read much more than seven books beyond what I have already outlined and the articles I will undoubtedly continue to read, a list of forty books, for example, is not helpful. But if you have read and loved a book about Woolf, or plan to read one on strong recommendation, I would be delighted to hear about it. I have left out of my above list books such as the Hermione Lee biography or Moments of Being, and the many Woolf essays and short stories that I read before last year that also inform my understanding. However, as I get "legs" under me, I am starting to assemble my own portrait of who Woolf was. I am deliberately putting off delving into her letters at this point--my instinct is that she was honest in her novels, essays, nonfiction, and journals in a way she was not in her correspondence, so I hope to bracket that piece of her until I get a firmer picture in place. I enjoyed this book, especially the first part, but thought the second half could have been condensed: we didn't really need every living female writer on the planet (it seemed) quoted saying Jo March influenced her to become a writer, and the chapter comparing the book to Tom Sawyer and arguing it doesn't have the same stature because it's a girl's book was a misfire. Little Women is so much better --and different--than Tom Sawyer the comparison simply seemed, if on the surface reasonable, below the surface, bizarre. Moving on, I recently read Ivy Compton Burnett's Manservants and Maidservants. This is not a best book, but a curious and interesting novel. Like Compton Burnett's other books (I understand) it is almost all dialogue. It exposes truths because of its stark format, and it emphasizes the subaltern in its focus on children and servants in a Victorian great house. Its portrait of the young boy Avery is compelling. It reminded me of Woolf's The Waves in being much about childhood. Woolf's narrators are all portrayed through their stream-of-consciousness interiority while Compton Burnett's are primarily portrayed through exteriority in their dialogue, but both books also have a sense of stripping out conventional elements of the novel to try to arrive at core truths. Switching gears completely, I also feel compelled this year to include a Hall of Shame that includes three movies and three books. I would never include a small film or small book that somehow misfired, but I include these because they won or were nominated for major awards in three cases, and in the other three have been either prominently or misleading promoted. The fact that several of these works won very prominent awards should give us pause and make us think again about the value of awards: just because a movie or book has won multiple awards doesn't mean it is any good--or espousing anything good. The Shape of Water: I did not blog about this movie, but could have. This misogynist and homophobic film about shaping an abject handmaiden cleaning woman to be the fit mate of the ideal Adonis heterosexual man (who happens to be a water creature) incredibly won the Academy Award for Best Picture last year. Yes, dear reader, I know it is difficult to fully wrap our intellects around this. We thought for the last fifty years there has been something called a "women's movement" that penetrated into powerful male consciousnesses to some minute degree, at least with the idea that women were not put on this planet solely to service men. Well, if the election of a racist, misogynist buffoon over the most highly qualified presidential candidate in history weren't enough, and if #MeToo weren't enough, a movie about a woman being molded as a perfect helpmeet for a hetero male won the Academy Award. I am sure it was billed as a heartwarming and whimsical story of two outsiders, but that is not what it is about. If it were truly about sympathy towards outsiders, it would not include the ritual humiliation of a woman and a gay man. The nasty government officials might want to destroy the water creature, but that doesn't make the water creature an "other." The water creature is the True Man, the Noble Hero. Note, too, that at the end of the movie, the male creature does not, ala the Little Mermaid, come out of water with great pain to join his beloved. No, she must join him. She must be transformed to be part of his world. And this ideological nonsense was considered by Hollywood to be the year's best picture. One lesson from this: the Democrats, much as it horrifies me to say this, must not even dream of running a woman for president. Phantom Thread: this misogynist exercise also was nominated for Best Picture. The mind does reel. Two hours of women fawning over and servicing the Great Man--what more would any woman want to do with her life? Oh, but it was set in the 1950s, and what else did women want to do then? (The movie implicitly asks: Why did things ever change?) Did we really nominate this movie for Best Picture? If we want to honor Daniel Day Lewis, let's honor him, not the misogynist swan song film in which he plays a prima donna white alpha male. I blog about it here: https://janeaustenandotherwriters.blogspot.com/2018/01/phantom-thread-male-wet-dream.html. BlackkKlansman: It may be slightly harsh to "hall of shame" this film--and the ending redeemed it, imo (my husband disagrees), but Lee's sledgehammer approach to race, where racists are depicted utterly as buffoons, ignoring all the insidious, subtler forms of racism that are far more common and dangerous, got entirely too much air space and praise. A far better film (it's on my "best" list) is Boots Riley's Sorry to Bother You. The Underground Railroad by Colson Whitehead: This book won the Pulitzer Prize, the National Book Award, the Carnegie Medal for Fiction, and was longlisted for the Booker, among a long list of other awards. The problem is, it is not a very good book. I loved the idea of an alternative history in which the underground railway was a subway train, and I find intriguing the idea of mashing historical periods together, but this book is far too crudely executed. Again, like Spike Lee's film, it is a sledgehammer that replaces novelistic nuance with stock scenes and characters meant to evoke pre-packaged responses that really don't require any thought. It's boring--titillating, but fundamentally, intellectually boring and bereft. Whitehead can be a good writer--at least I remember John Henry Days as a good book--but my feeling reading this one was that he breezed through it with as little effort as possible. Its simply not well-imagined and doesn't do justice the problem of racism. So let's pile it with awards. Women Who Write are Dangerous by Stefan Bollman. I debated whether to include this book, which I got for free, as it has not received big press (that I am aware of it), but when I saw it prominently displayed in not one but two bookstores, I thought this is not good. Then I saw on Amazon that it is misrepresented as by Bollman and Francine Prose. No doubt the publisher figured out it would be a good idea to add a woman's name to the credits. But Prose only wrote the introduction. So, what we are left with is a man, who apparently has no qualifications to write such a book, let loose to pen snarky little entries about whatever woman writers happen to catch his fancy. He seems mostly interested in these writers' sexuality--but why not? What else are women on earth for? This book should never have been published ... but ... see above. Laura Thompson's Agatha Christie biography: I fell for the good press on this. This is one of the worst biographies ever, leading to the question of exactly what Thompson's reading comprehension skills are. Do not read this misinformed book. I dropped it a third of the way in, as it became increasingly evident that it was nothing more than Thompson's none-too-insightful ramblings. So many women writers and fictional characters have helped to form me and other women. About seven years ago, I became part of two Jane Austen list serves, which led to participation in WomenWritersThroughtheAges, Eighteenth Century Worlds and the Trollope 19th century studies list. Through these lists, I've entered a rich world of cyber friends. Inevitably, this participation has led to my own blog, envisioned as primarily a place to discuss books and writers, male and female. Six years ago I moved with my family to Ohio. However, I was born in Baltimore and spent most of my life in the Baltimore/Washington corridor.